There’s so much darkness in the news right now. So many angry and scary stories with people blaming each other for shootings while other are busy people blaming each other for blaming each other. The whole thing is just depressing. You know what isn’t depressing, though? Hearing Glenn Beck rave about Spider-Man: Turn Off the Dark. Heck, this is even more fun than the Sarah Palin Xbox! Beck recently caught the musical which has been much-maligned by the press and critics and has been sending a startling number of actors to the hospital and, apparently, he thoroughly enjoyed it. On his radio show today, he claimed the show was “much better than Wicked” and that, if his listeners come to New York, it would be worth “selling a kidney” to get a ticket for. A joke obviously, but you may actually have to do that considering all the bad publicity and accidents have succeeded in sending ticket sales through the roof (something which, presumably, may happen to a poor actor any day now). However, it wasn’t all fun and sunshine though as Beck managed to squeeze in a random political jab by implying that the “New York elite” will be angry at him complimenting the show. That’s ridiculous. Has he seen how much this show costs? Half of the New York elite invested in the damn thing. Anyway, there you have it. 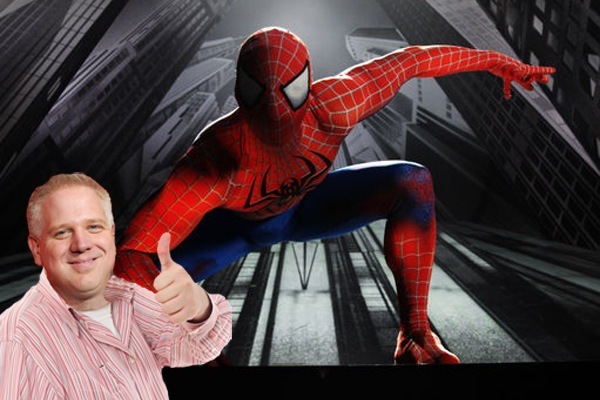 Glenn Beck says we should all go see Spider-Man: Turn Off the Dark. Forget comparisons to Phantom. The only thing I’m curious about is if this prediction of his will be the gold of 2011. *My apologies to Andrew Lloyd Webber fans.